Lots of people, animals and microorganisms work hard to create the gold standard of compost. 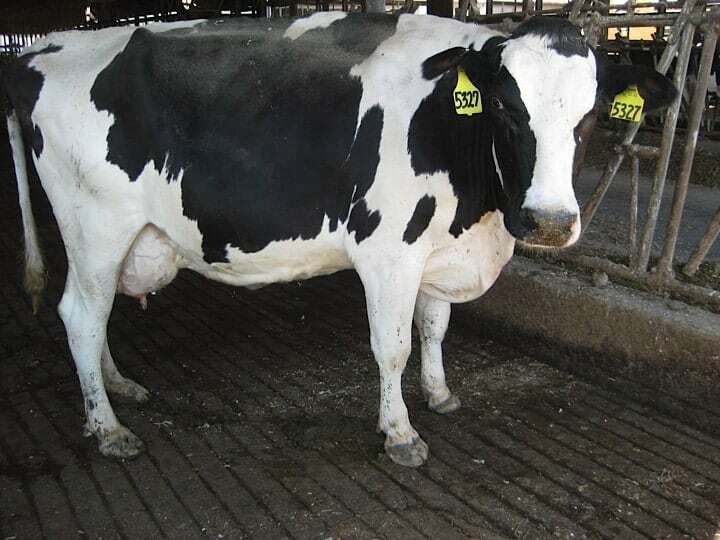 The Holstein dairy cows at Rosenholm Dairy produce manure that is then removed from their pens using a flush system which flushes recycled water through the barn alleys. The flush water is then pumped over a screen which separates solids and liquids. The liquids are sent to a lagoon and are irrigated over the farm crops throughout the summer and fall. The solids are taken to the compost facility where Emmett builds them into windrows for composting. Craig tracks the internal temperatures of the windrows and keeps records on each one from start to finish. He turns the windrows when the correct temperatures are recorded, and this process incorporates air into the rows so the microorganisms can survive and do the hard work of transforming the raw material into compost. The windrows change dramatically from when they are built to when they are picked up for sale. The color changes from yellow to dark brownish-black, the smell changes from that of dairy manure to an earthy soil-like smell. 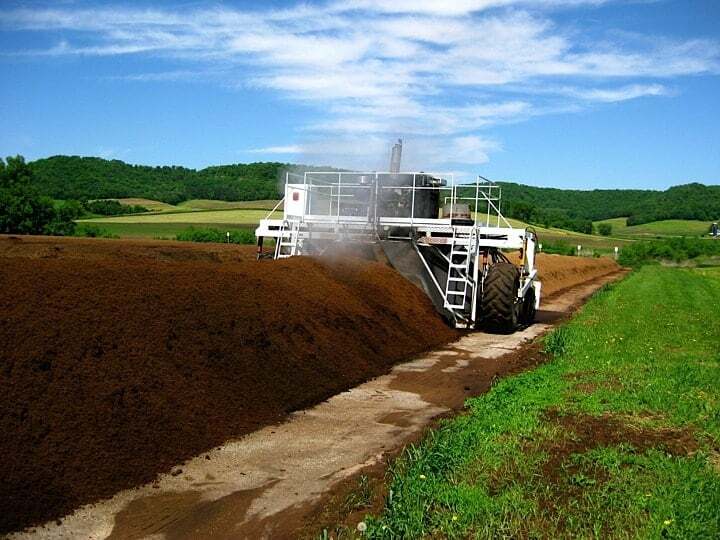 The pile reduces in volume by about 60%, and the texture changes from particles of digested feed and sawdust into tiny dark pebbles that indicate a mature and high-quality compost product. The finished product is sold by John and Nettie, and either loaded in bulk onto trucks by Craig or mixed with other ingredients into potting mixes which are bagged by Armondo. 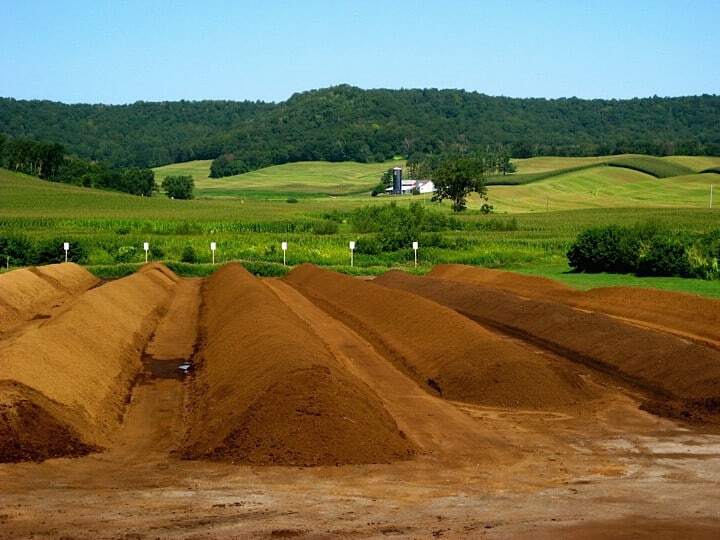 The sawdust bedding used on the farm comes from a local source where the wood has not been treated, and the composting process utilized by Cowsmo meets the National Organic Practices standards for both compost and manure. Cowsmo Compost products meet the National Organic Practices standards and can be used to grow food products that are certified organic. Compost based potting soils more closely mimic rich garden soil compared to potting soils without compost. Cowsmo Compost is considered a soil amendment (not a fertilizer), which has a number of positive attributes when added to existing soil or when mixed with other ingredients to create a potting soil. Much like manure, compost adds organic matter and good bacteria which promote soil life, which in turn feed plants. Unlike manure, however, Cowsmo does not smell and it does not have viable weed seeds because it has been composted properly. Organic matter also improves the texture of soil, which can be useful in both gardening and landscaping applications making it easier to work with. In addition, amending soils to achieve a proper organic matter content can improve water retention and drainage. In potting soil, compost provides a favorable texture to the mix, and the organic matter it contains can release nutrients more slowly over the course of a season.